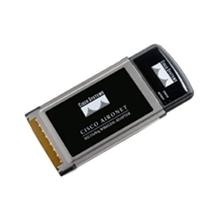 The Cisco Aironet 802.11a/b/g Wireless CardBus Adapter provides high-performance 54-Mbps connectivity in the 2.4- and 5-GHz bands. Whether configured to support single 802.11b coverage, single 802.11g coverage, single 802.11a coverage, dual-mode 802.11a/g coverage, or trimode 802.11a/b/g coverage, the Cisco Aironet 802.11a/b/g Wireless CardBus Adapter is Wi-Fi-compliant and combines the freedom of wireless connectivity with 802.11i/Wi-Fi Protected Access 2 (WPA2) encryption for the performance, security, and manageability that businesses require. This should download the file correctly. Worked for me. thank you, the stupid cisco site makes u register and u still cant get this download, u guys are brill! a password is required i don’t find it where is it?